Latest News - ARTEMIS ARCHERSARTEMIS ARCHERS | Family fun, loose in the woods! Just a quick update to let everyone know the full results from our 2018 open shoot have been added to the website. Regretfully, we have to announce that our EFAA Field Round due to take place on the 4th March is cancelled due to the poor weather conditions. 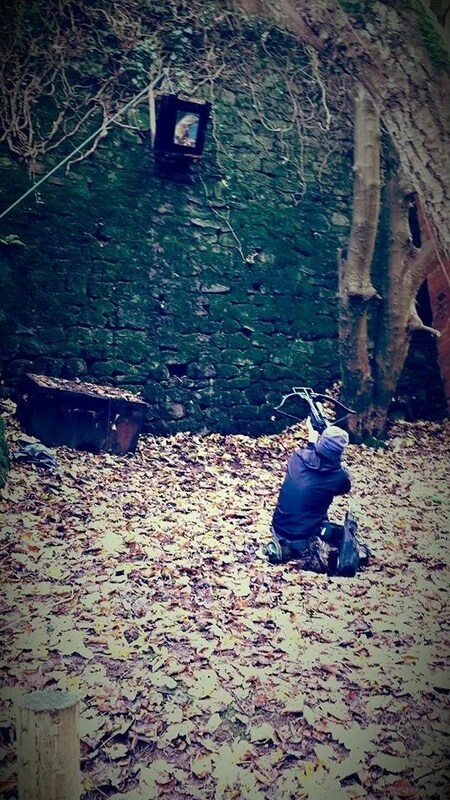 Our next shoot will be a Hunter Round on the 1st of April. The dates for Artemis Archers’ 2018 EFAA shoots have now been added to the website. The dates for Artemis Archers’ 2016 EFAA shoots have now been added to the website. Just a quick update to let everyone know the shoot report and full results from our 2015 open shoot have been added to the website. Please be aware that the October EFAA shoot at Artemis Archers is cancelled. Thank you to all the EFAA shooters that supported us this year and I hope to see you all again in 2016. It’s a bit late, but it’s been a hectic week. Below are the final positions for all the members of Artemis Archers that competed at the 2014 3D championships. Well done to everyone that braved the weather and the mud! Next up is the EFAA Bowhunter Champs on the 7th and 8th June, closely followed by the EBHC in Confolens. Good luck to everyone competing in those competitions. Artemis archers carried on where they left off in Scotland on Sunday, at the Duvelle Bowmen open shoot. Every member of Artemis that attended the shoot was placed in the top 3 of their respective categories.